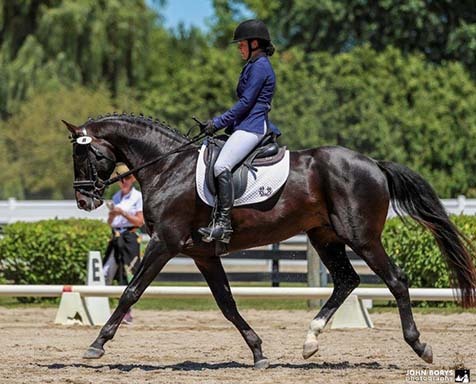 Fully approved for breeding by the American Trakehner Association, Oldenburg Registry North America & International Sport Horse Registry, Stud-book sBs – Belgian Sport Horse – North America. Breeding: -	Ehrentanz seems to be stamping his foals with his modern looks and athleticism! -	A 2.5year old colt was presented and approved at the 2017 ATA stallion inspection! -	All of his foals evaluated with the American Trakehner Association became premium foals -	Has been DNA color tested and is E/E, A/a. Homozygous for black and cannot produce a chestnut. Sport: -	Received *Ps* at only 8 years of age! -	Qualified for the Mid-West Young Jumper Finals in Kentucky 2015 and 2016! -	Moved up to show in the Grand Prix jumper ring in 2017 winning fantastic ribbons! 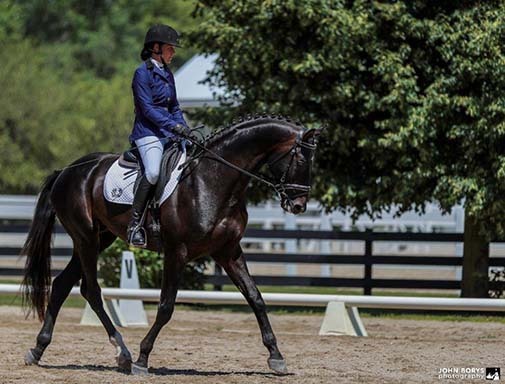 -	Danced successful in the 3rd level dressage ring in 2017, planning to move up the levels and with no doubt soon into the Grand Prix ring in dressage as well. 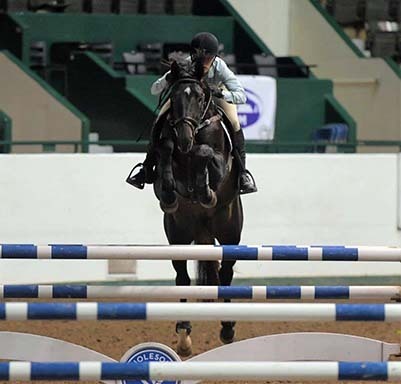 Above all, Ehrentanz has a very amateur friendly demeanor that makes him easy to work with, ride, and train. 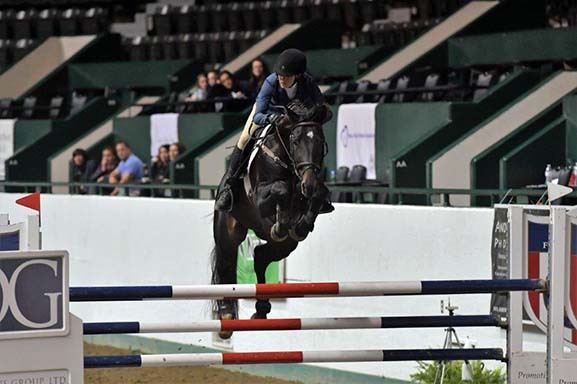 Lots of People who see him go around a grand prix jumper course say he belongs into the international hunter derby ring because he is so easy and shows such spectacular form over the fences and on the flat. He has an excellent personality and is a favorite in the barn.